Product prices and availability are accurate as of 2019-04-20 05:51:25 UTC and are subject to change. Any price and availability information displayed on http://www.amazon.com/ at the time of purchase will apply to the purchase of this product. 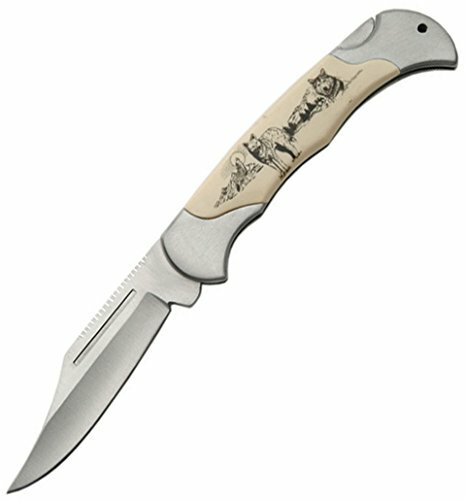 This Wolf Lock Back Folding Knife by Szco Supplies is 4.5 in closed length. The blade is made of stainless steel. The bolsters are made of steel. 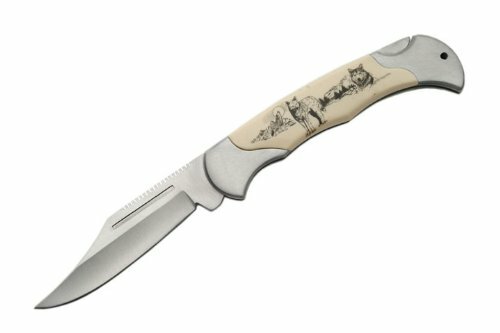 The handle inlay is a wolf design.